The growing demand for coworking spaces signals not only the end of cubicle life, but the rise of a New Working Order. More than ever, we have to take our lives and futures into our own hands. We have to be for something great – not just against someone terrible. We have to spend our energy building the future – not destroying each other. We have to do more than coexist – we have to connect. And we have to do more than care – we have to create. So Paste went from sea to shining sea in search of the coolest coworking spaces in the country. If anything has been made clear in recent weeks, it’s that the brightest voices are those joined together in pursuit of possibility and inclusivity. Coworking spaces exist for passionate, collaborative people who want to gather, create, build and share their ideas & innovations with the world. A recent study by Stuttgart-based research organization Fraunhofer IAO found that the number of coworking spaces has doubled every year since 2006. 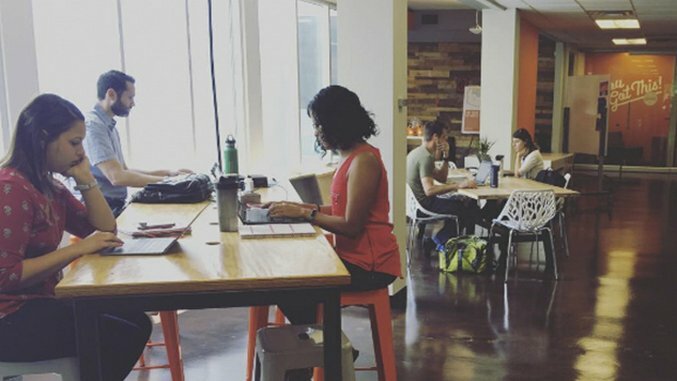 Nearly half a million people are coworking in America and the number grows larger every day. Most of the coworking spaces on this list create connection on limited, localized, member-supported budgets. Those backed by corporate sponsors are using funds to build on the basics, typically with after-hours activities focused on education, community building, and small business initiatives. Coworking spaces vary widely in focus, size, service and ambiance. Standouts are the ones offering flexibility, independence, accessibility and community connection. That last feature is key. According to Deskmag, successful coworking models lead to revitalization of forgotten buildings and, over time, can positively impact surrounding neighborhoods. Paste narrowed the list down to coworking organizations that have been open for more than a year, focusing on atmosphere and variety of services offered. Check out our top picks and please share your coworking experiences in the comments. We especially want to hear from individuals and organizations using coworking spaces to mobilize grassroots movements. Full disclosure: I’m one of the many young creatives embraced by The WaVE during the incubator’s early days. I worked on branding strategy as part of a student hackathon sponsored by the ad agency 22squared. Where creativity and connection through coworking are concerned – The WaVE made a true believer out of me. Emily Ray is Paste’s Assistant Design Editor.